financial performance and future projections for the coming year or reporting period. The annual report is a great opportunity for promoting your brand and increasing sales. If done correctly, your annual report can be a tremendous marketing tool. Due to their inherently corporate nature, Annual Reports are often A4 in Size and generally have a high quality look and feel. The design and printing should reflect the same professionalism, quality and style as your company. Printed Annual Reports must be on brand and when produced professionally, can be one of your most effective marketing tools. Whether for a small businesses or large corporations, Fast Print Services will ensure your annual report printing meets your deadline and is On Brand and On Budget. 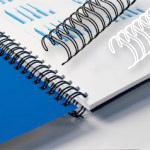 Binding options for Annual Reports often include Perfect Bound, Saddle-Stitched, or Wiro-Bound. Not only do Annual Reports display your finances, projections and strategies the design and layout of the Annual Report reinforces your brand. At Fast Print Services we understand the importance of high quality and unique style for your Annual Reports and can do our best to replicate any previous reports and marketing collateral to keep this year's Annual Report on brand. If you are looking for a change of direction, or if this is the first Annual Report you have produced, our experienced graphic artists will help you portray the essence of your company's brand through the design, lay out and stock choices for your Annual Report. Fast Print Services can print and deliver short run (under 250 copies), digitally printed Annual Reports with a heavy cover (with or without celloglase) in a few short days. Our digital printing and binding service offers you the best price and quality options for your annual reports and any other Corporate printed collateral. We only print booklets using the latest print technologies with top quality inks and papers. Our booklets are always appreciated by our clients and can be tailored to suit your specific needs – so give us a call! All of your marketing and printing should communicate important information about your business, nothing tells a company's story in a more comprehensively than an annual report. It's your best chance to share your accomplishments with your stakeholders, put your show your figures and forecast sales for the next year. Please carefully consider whether you require Digital Printing or Offset Printing before making a decision as they are two different products with different pricing structures & Turnarounds/delivery times. Fast Print Digital printing is for printing small print runs with tight deadlines. We offer same day printing and 24 hour printing, however these are more expensive than our standard 2-3 day digital printing . Choose Offset Printing for printing Larger print runs or when you have more time for printing to be delivered. Offset Printing generally takes 5-Days including delivery. All printing delivery times apply from receipt of correct artwork and confirmation of ability to meet deadline must be given. Fast printing turnarounds subject to availability and production schedule. A surcharge applies to express same day printing and/or afterhours / weekend deliveries if required. Fast Print Services is not responsible for delays in transit. We are more than happy for you to arrange pick up or use your elected courier should your prefer. Non-account clients must pay before the job is processed. Some jobs will require a 50% deposit before the job is processed and the final payment before your printing is dispatched. Various finishes can be applied to both digital and offset printing. These include: Matte/Gloss Celloglaze, Spot UV Varnish, Embossing, Foiling, Die Cutting, Scoring, perforating, Special PMS colours, Rounded corners and hole punching. An additional time is often required for each finishing process. Price and turnarounds are available on application. Celloglazing: Is a thin laminate coating that not only makes your printing look and feel great it, makes your thicker and more rigid & increases longevity. Spot UV: High gloss spot UV is excellent for depicting single words, your logo or particular images. Drilling: Perfect for swing-tags & folder inserts, not just for fashion designers. Why Print Your Annunal Report at Fast Print Services? Fast Printing of Digital Books. Same day; next day, any day delivery. Guaranteed Best price on same day digital booklet printing in Sydney Australia. Cheaper printing prices, save money on digital books with 2-3 day or 3-5 day turnarounds. Quick Printing of Offset Booklets, delivered in 3 to 5 days, save more with 5+ day turnarounds. Call us on 02 8203 1800 if your print job is super urgent and we'll work some Fast Print Services magic for you. Choose Fast Print Digital Booklets for short run jobs with tight deadlines & Offset Printing for Booklets in Larger Quantities (1500+books) when you have longer turnaround times. We guarantee a High Quality, Fast Printing Service with the Best Printing Prices in Sydney. We're the Booklet Printing Experts: be it for custom booklet printing, printing books on demand, color booklet printing, digital printing booklets, offset booklets and full color booklet printing. We have everything that will fit your needs. 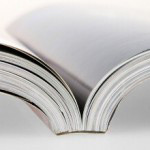 Were not "cheap book printers" but we do provide the best value Professional Bound Booklet printing in Sydney. Our booklet printing service includes Fast Printing of Digital Books for short run with delivery in 2 to 3 days, or for larger runs Offset Booklet printing solutions to suit any budget or schedule. Whether you are after full colour digital printing with fast 24hr turnaround or large run offset printing, we provide the full service design-print-distribution package. Fast Print Services can get your idea / service / product / deal or WHATEVER out there and looking great! Do you need your Annual Reports quicker? Were not "a cheap printer" but we do pride ourselves on providing the best value on Annual Reports printing in Sydney. Whether you are after full colour digital Annual Reports with fast 24hr express turnaround, more economical large-run offset printing, or even full service Annual Reports printing and flyer distribution packages we can get your Annual Reports s designed, printed and delivered, on time, on brand and on budget. Are your books bound to impress? 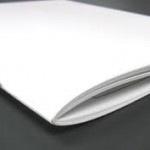 Annual Reports are normally Perfect Bound, Saddle-Stitched,or Wiro-Bound however the type of book binding that is selected is limited by the number of pages it contains and the printing budget. Strangely, esthetics are usually considered after function in the decision-making, unless quality is a priority and budget is not a factor, or the binding itself is part of the conceptual design. Still not sure which book binding style is right for your book? Call us on 02 8203 1800 and we can discuss a full range of options and advise what will work best with your booklet printing. Why Print Your Booklets With Fast Print Services? Fast Turnaround Times - Same Day, Next Day, Any Day. So call now on 02 8203 1800 and or email sales@fastprintservices.com.au and find out how much you can save on your next campaign. Do you need custom raffle tickets printed for your organisation, school or club? High Quality, Printing and Bookbinding Service. Binding of Hard Cover Books, Thesis Binding, Saddle Stitched Books, Perfect bound Books and Wire Bound Books.